There are a couple of stunning errors being made which have my head in a twist, because there are clever well paid people who are supposed to be catching these opportunities. The recipe for a successful boycott requires an easy way to switch products and cleear branding. The unsuccessful BP boycott has both. Gas consumers can simply drive across the street to buy from another vender and while BP has some subsidiary brands, if a significant number of customers simply avoided their branded stations it would have a further crippling effect on BPs profits. Part of the answer is that we are pretending that we can do push button political action and click something on Facebook and move on. And in the spirit of this blog, the reason that this type of organizing is not happening, is that i am not doing it. Something i can’t do and still dont understand is why the US cigarette manufacturers have not jumped into the media market on the California referendum to legalize and tax marijuana. US cigarette makers spend $15 bullion a year in advertising. Proposition 19 is lagging slightly in the polls though there are some conflicting reports. But there is basically no campaign funding opposing this referendum. Cigarette companies are being slammed from all sides. There advertising venues are being compressed. Lawsuits abound. And cigarettes are being blamed for a host of ills from reducing worker productivity to worsening 3rd world poverty to diverting land from food production. So why haven’t these companies seen where the market for their products is almost certainly going ? 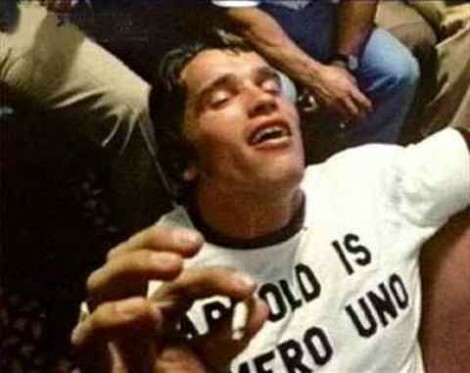 If California legalizes, there will be a huge boon in premium pre-rolled marijuana cigarettes, and there is no one better suited to create them and the giant ad campaigns around them than Phillip Morris and friends. Perhaps as little as $50 million in slick advertising (something cigarette companies are very good at) could secure a new market worth $3 to $5 billion annually. You raise good questions, as always. I wish I had answers. Maybe its in the stars, or the cards…I do wish there were more actions, it is eerily quiet, and Im still driving. I haven’t even done any push-button activism to boycott BP (but I did organize the local Hands Across the Sand event and have ridden my bike a lot more). 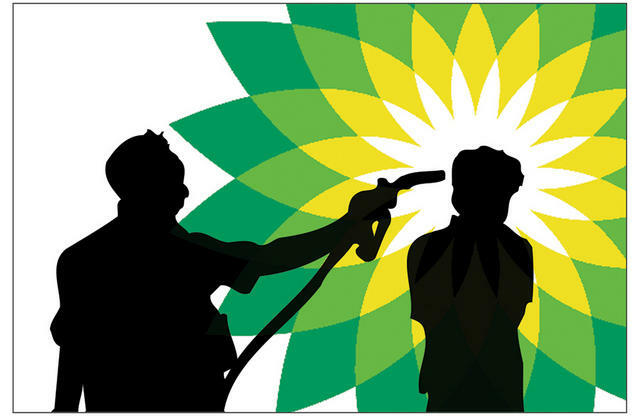 It seems to me that a lot of people think that if they boycott BP, they’ve done their part. You and your friends know better, but there are a lot of folks who don’t make the connection between their daily lives and what’s happening in the Gulf. They’re driving as much as ever with clear consciences because they went to the gas station across the street. Am I boycotting BP? Yes. But I’m not a saint when I pump gas anywhere. I plan to do a viz period at TO next summer. If all goes well, I will move there as soon as possible. And then BOOM! you will have so much more Joanna in your life. Happy thought indeed, no? Joanna – this does make me super happy. i hope you feel like my second msg answered your questions and let me be your ally in coming back to TO. Your message was very helpful! I’ll be driving down to Acorn with Paul tonight so he can prep for the rave– I was thinking about heading to TO for lunch or something tomorrow (Friday) to chat with you and other friends. Would you be interested? you said i should read and comment. i think simply boycotting bp is useless and even pressuring them with oily birds is fun and edgy and slightly silly. by focusing our energy and pressure on bp they become a convenient scapegoat and while we can bond over our collective hatred, we’ve obscured the problem. yes, they should pay and they should stop controlling access to the spill sites and all of the other attempts at evil, obfuscation. and the issue is much larger and instead of letting bp have its fifteen minutes of shame, we should be crafting brilliant and holistic criticisms of the status quo and using them to fuel cutting street theater of all kinds. my brilliant two cents, and really i commented because i would do nearly anything that encourages you to keep writing. i was very excited to see two posts in two days. makes me smile. While Sara and i share a desire to do more interesting thing than boycotts personally, the question is where does cutting edge street theater go? Until we get easily accessible models of dramatically lower consumption models in place, about the best we can hope for is for not-especially-active folx to boycott. BP had record losses last quarter and fired their CEO in terms of corporate behaviorism, the best (likely) thing that can happen is for the losses to continue and the company be gobbled up by other oil companies. Crush them, they understand pain. Pax- I’ve always appreciated your challenging the status quo. I completely disagree with the assertion that boycotting your local BP franchise accomplishes anything except hurting a local business owner. I know a BP station owner from my banking days, and he is as nice guy as I can think of. He had an Amoco station inherited from his father, and switched to BP branding years back when they paid for him to switch the whole station over to solar power. He paid all of his mechanics and car wash employees wages that made me quite envious. I don’t see why someone like this should be punished for irresponsible corporate actions that he had absolutely no control over. To me, boycotting small business owners who are one’s friends and neighbors is not actually going to get the oil cleaned up any faster. Should these local mechanics switch franchises? Probably, but don’t treat them like pariahs in the meantime. Buying cigarettes or filling up at the exxon across the street doesn’t make anybody a better person.